A collection of pictures from around Sunol. 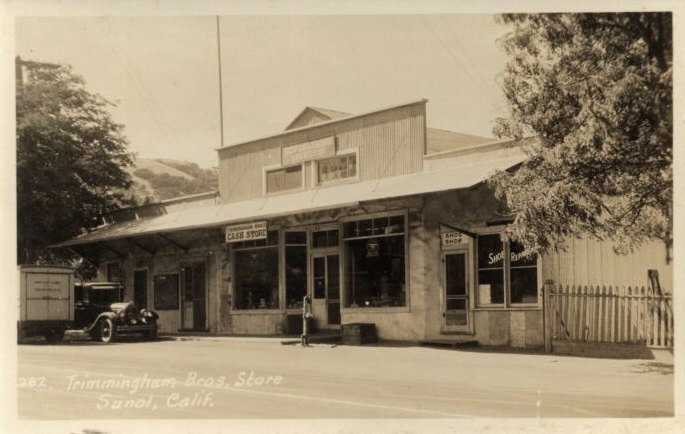 This was one of the first mini-malls. Notice the barber shop on the left and the shoe repair shop on the right of the store. These pictures were taken by an itinerant photographer in the early thirties, made into post cards and sold in my fathers store. 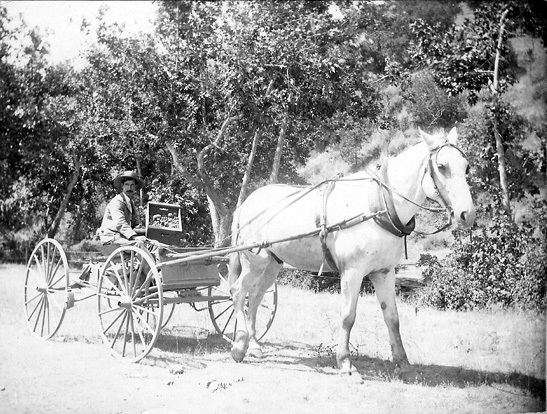 Jim Collins worked for the Syndicate ranch (now Sunol Regional Park). My grandfather was ranch manager. Jim is selling cherries along Glen Canyon (later changed to Kilkare Woods) in the mid 1890's. The horses name is 'Old George". 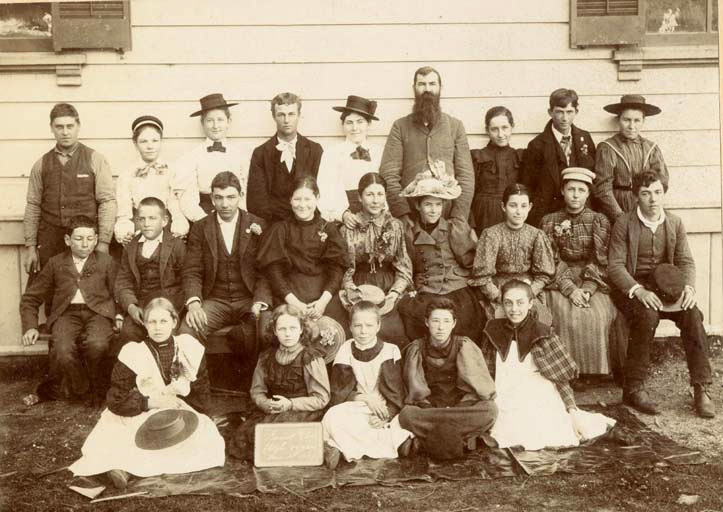 My mother Alice Trimingham nee Alice Chamberlain is in the front row. She was born in 1884 and I estimate her age at 13 when the picture was taken. 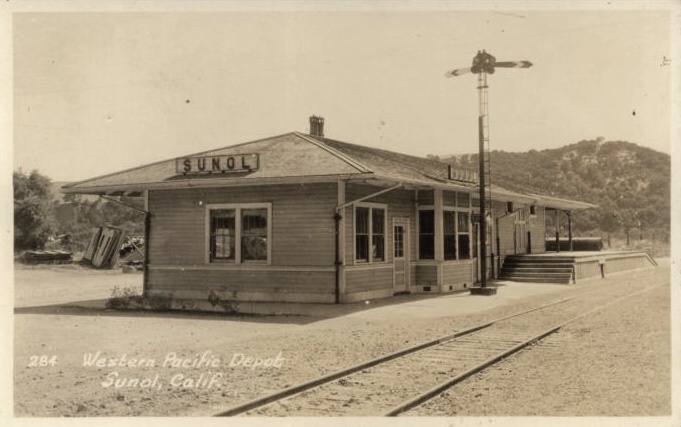 The Sunol Depot looks much the same today as it did in the thirties. This photo is probably on Pleasanton-Sunol Blvd. 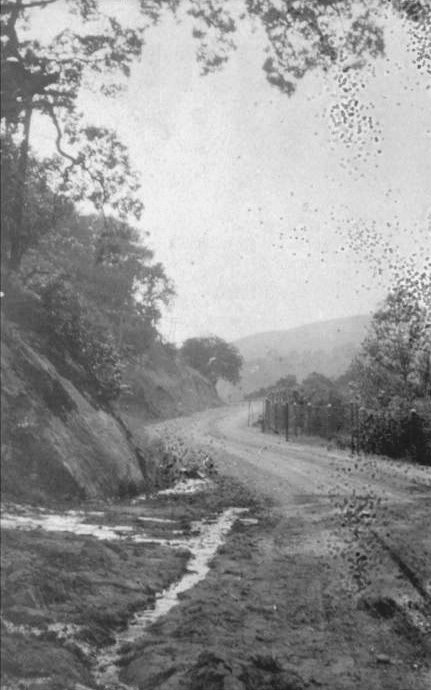 approaching Sunol - near where the CDF fire station is now. 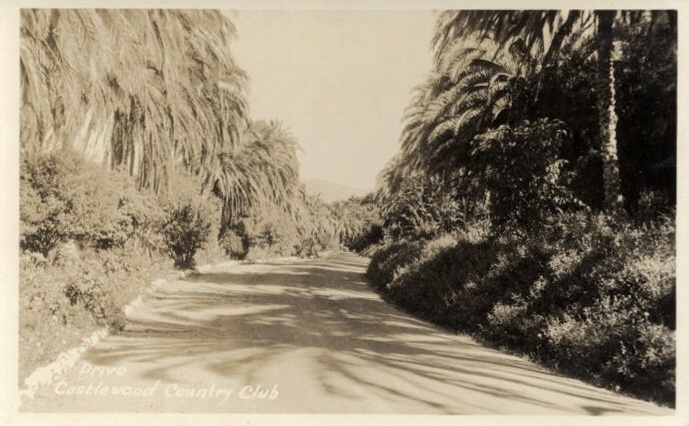 Somewhere in the Castlewood Country Club area in the 1930's. All images © Richard and Bill Trimingham unless noted otherwise.